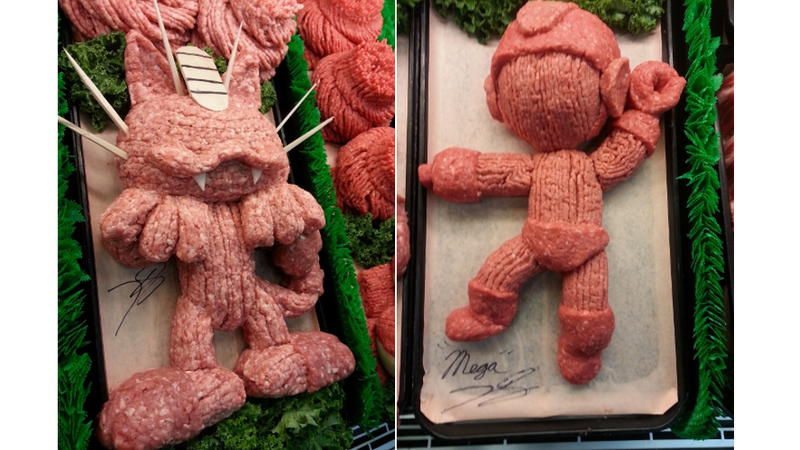 Pokémon, Sonic, And Mega Man, All Made Out Of... Meat? Ground meat ain't just for hamburgers, you know. It's also for art. Over at Tumblr, a blog called Epic Grinds serves as the purveyor of artistic objects created out of ground meat. The owner's skill doesn't stop at meatifying game characters, mind you—there's a great variety of objects from anime, live-action series, and real life as well. For example, here's Sonic and his trusty partner, Tails. Samus and a baby metroid! Here's Mega Man and Cut Man, getting ready to duke it out. Ground meat Death Star is looking rather menacing next to ground meat Artoo. And finally, here's a few Pokemon. Pikachu's looking a bit deflated, there. If you haven't run off to make yourself a burger yet, you can check out Epic Grinds' other meat artwork here.